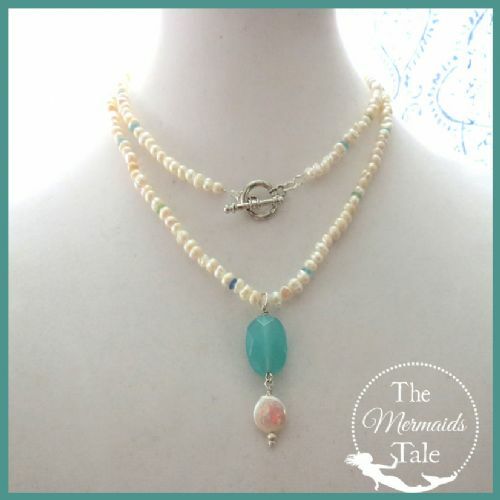 Aurora freshwater pearl necklace peppered with cultured sea glass and highlighted with a pale green chalcedony pendant & coin pearl. Necklace is 36 inches long shown wrapped twice. Can be worn single layered long.